I'm not on BudrowBob's list yet. Can I have number 520? Could I have 0063 please? It's in my avatar picture too!!! Ladies and gents please sort out numbers as best you can I am on vacation and won't be on much for the next two weeks. I have 2 operational 252 mil.specs currently... 1952, and 1965. Both Coleman made. P.S. If that doesn't fit in, let me know, I'll come up with something else that fits me. Pogobrat got "52", the number I was going to pick for one of my 52 mils which is my only unfired lantern. I'd like "59". My birthday mil-spec and first mil-spec in the center of this pic. Wife: "Whataya gonna do with all those stoves"
Is 58 still available? If so, may I claim it? Thanks. I will take #71 if it is still available. Added another MilSpec to the stable on Saturday. 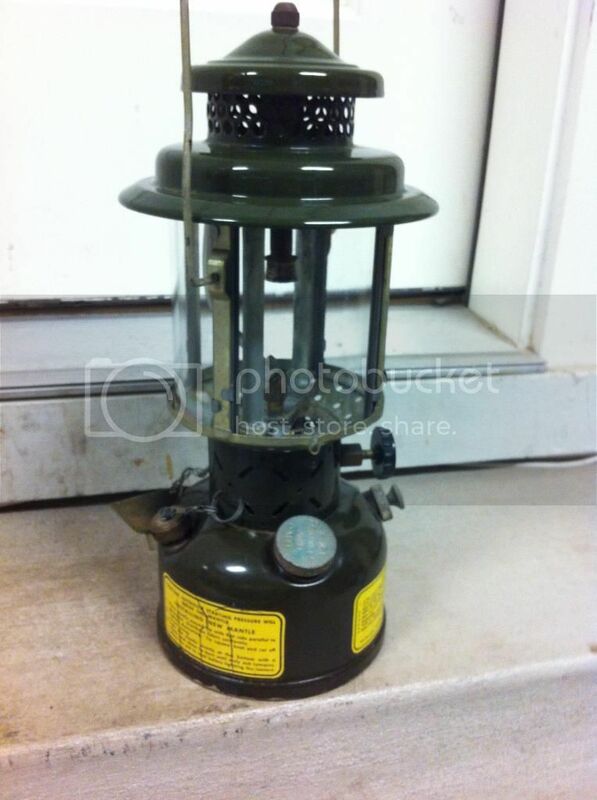 What a ugly lantern. Funny, I don't know why they didn't paint them brown! LoL! Well dang, now I understand what the "syndicates" thing is about. Can I get #272? 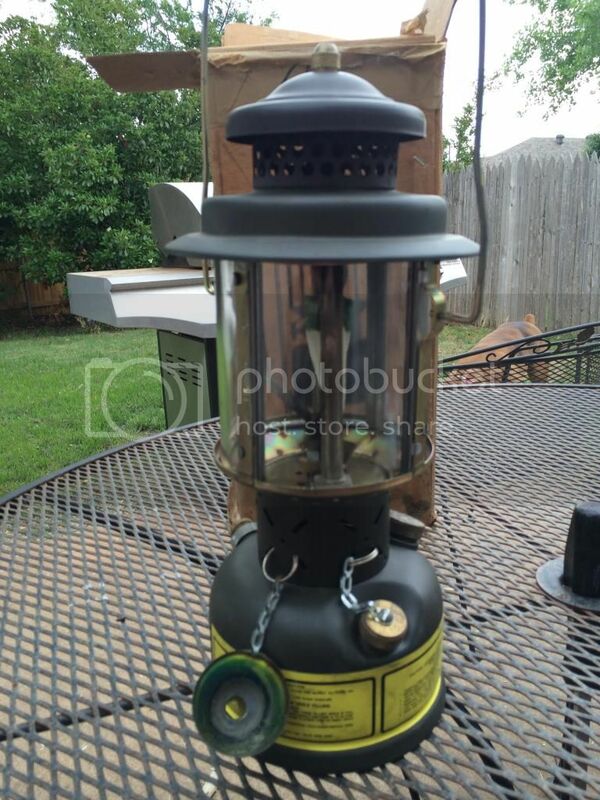 I was 35 before I realized that Mayfield's Dairy Farms didn't make the brown plastic "milk" crates specifically for 1 Coleman Stove + 1 Coleman Lantern +1 Gallon Coleman Fuel. Id like number 1968 lost count on thread. I just recently got a 1972 Form-Tech milspec! So I would like to join this syndicate. 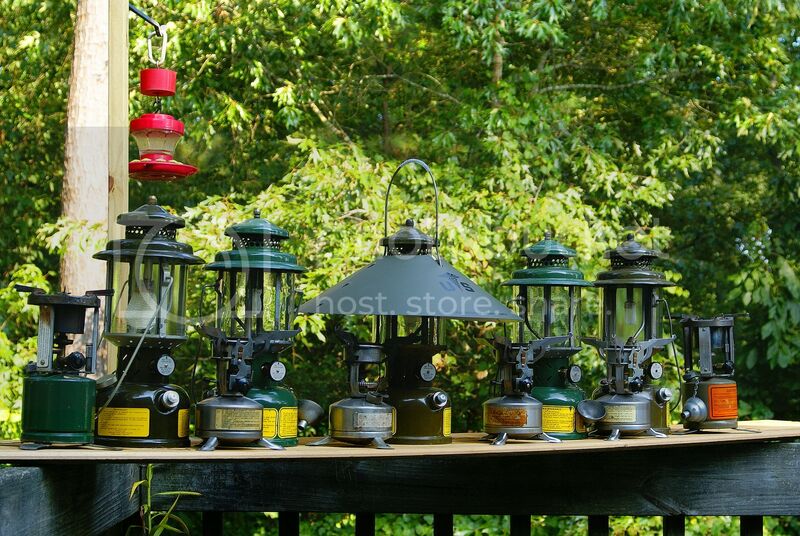 I keep saying that I dont collect lanterns...but I really want a milspec.....a mountie.......a CPR.. I'll take 051 if it's available. That is the team of Green Berets I took into Iraq. They all came home with me too. I've got a couple of early 83 SMPs with the nice wooden box. I'll take 051 if it's available. That is the team of Green Berets I took into Iraq. They all came home with me too. I'd like to join can I have 80 my birth year thanks I got two a58 and 75 or 74 can't remember! NIB never take it out! "I'm just a dude, playing a dude, disguised as another dude!" Ok after having 5 and I still have 3 now I guess Iam in i will take 0087 if its not taken. 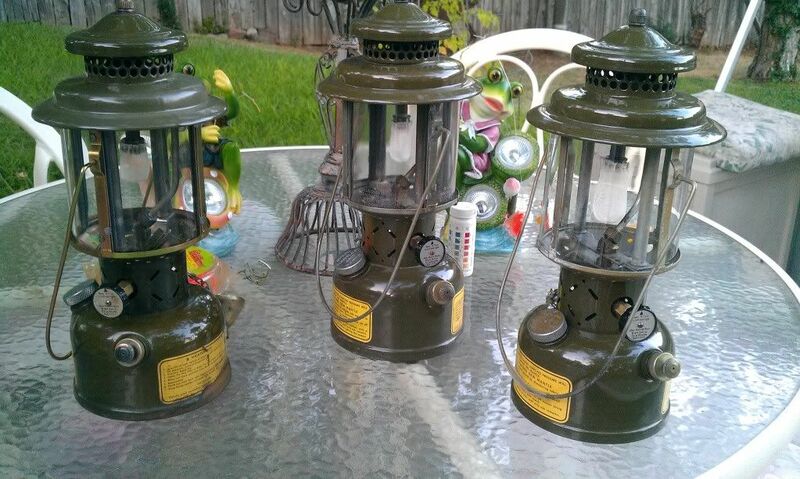 I have 2 SMP's and 1 Coleman MilSpec lanterns. Count me in please. I'll be happy with any number available ! @ thekommisar1964 ... I've never done it and know nothing about it, but you'll find lots of posts and information about sealing cracks / holes in founts with "Caswell" or "POR" in this forum. Apparently it works well. Just search the " " words. Late Edit: Lots of parts are available from our host Old Coleman Parts (top of every page), and in the classifieds section of this forum from individual members. Lots of off-site parts sellers too, like eBay, etc. I imagine you'll find the parts you need from one of those. Not to copy ToddCline (but I'd like to anyway), I'd like my number to be "786" (For the 786th TransCo I was in from 82 to 86). Great idea starting this Syndicate! I only have two MilSpecs so far, but always looking for more. Thanks! I'm in. I have a 1969 Coleman MilSpec. I'm in. Any number is ok with me. I forgot I also have a WWII AGM milspec. Is anyone approving.updating the registrations? I am an avid collector too. I have a pair or 252's with case. 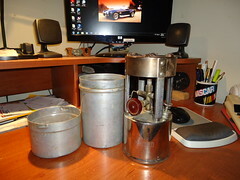 520, M-1950, 523 and 527. Could I have #555 to go with my turd collector number? 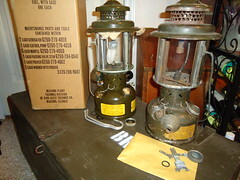 I would like to have #102 I have five mil spec lanterns and an A46 530 stove, I have two more in the military box those are sitting on, and one more NIB. Hey, if there's any vacancies, I like the next available number.....my first milspec is on it's way to it's new home! Something missing from my signature line............Milspec # ? As with anything military, the numbers are FUBAR. I recommend the CO of the syndicate, Scooby fall the regiment in for a lantern inspection.